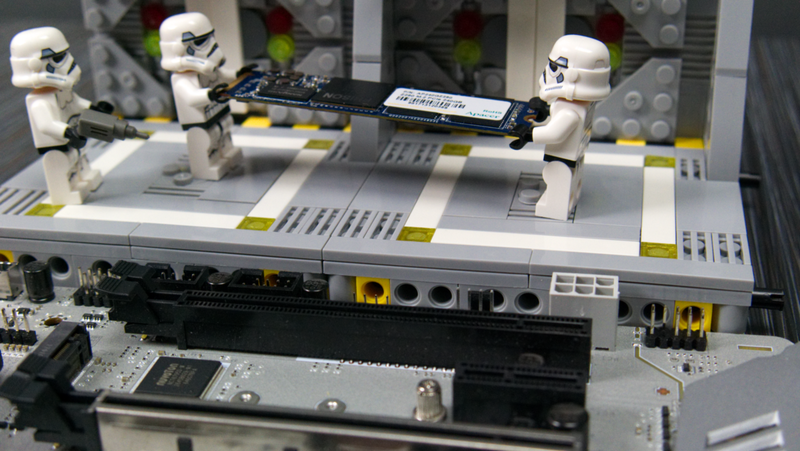 Is this the NVME you’re looking for? Apacer is one of the sponsors for my current build log and sent over a whole package of awesome stuff to use. 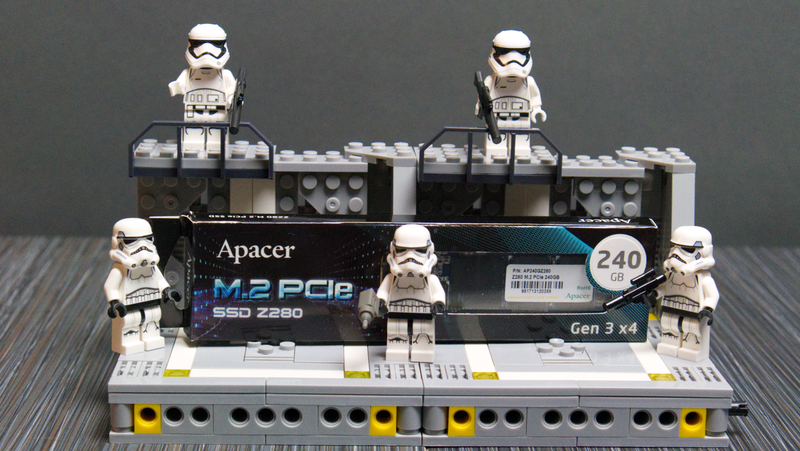 One of the items in the package was their M.2 PCIe SSD, the Z280. 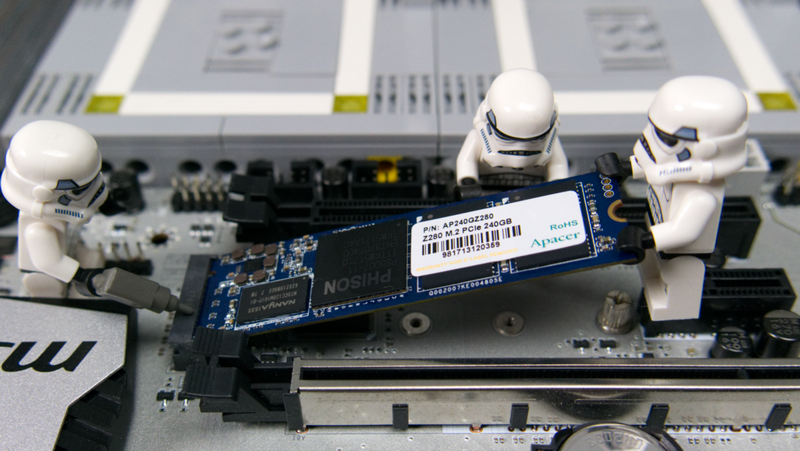 I’ve been wanting to get my hands onto a NVME drive for some time now, so let’s see how it performs. 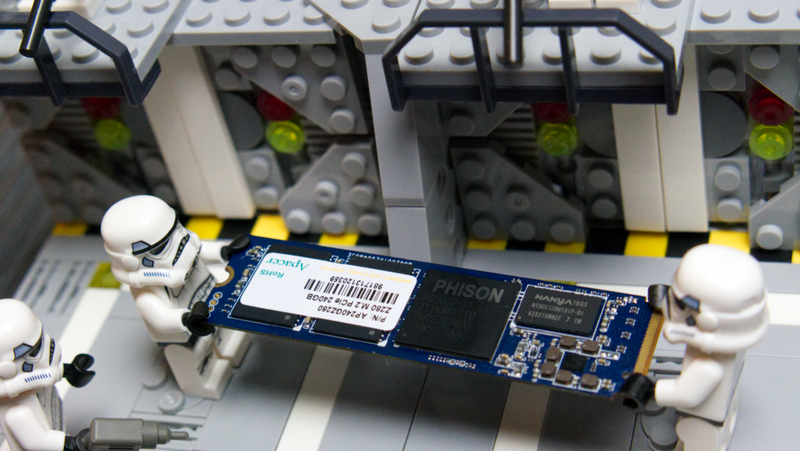 This is a M.2 2280 drive based on the Phison PS5007-E7 controller. The controller itself got a firmware update in late 2016 which massively increased the speeds, which got hardware manufacturers like Apacer surging to create drives based on the controller. 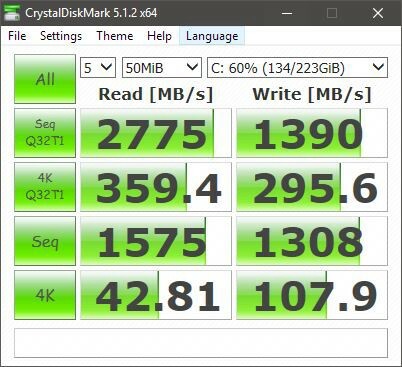 Apacer’s specifications for the 240gb model are PCI Expresss 3.0 x4 with sustained read up to 2,750MB/s, sustained write up to 1,500MB/s and IOPs (4K Random Write) of up to 160,000. This is fairly close to the Samsung controller’s high speeds, and at a lower price point (currently the Z280 240gb is $123 on Newegg). The controller is connected to Toshiba MLC NAND. 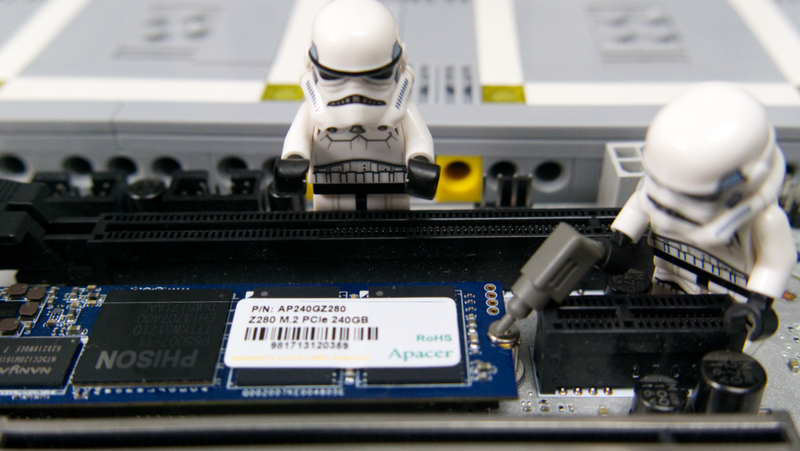 On Windows 10 it uses the inbuild NVME driver so it’s plug and play, Apacer supplies a driver for earlier versions of Windows. It comes with a 3 year warranty, which also reflects on the lower pricing point. The 480gb drive is $220, which is a fantastic price for a drive with ample storage for most peoples usage. I love conscripting these guys into work, as long as there’s no blasters in sight! Overall, this is a great drive at a competitive pricepoint that should be good for general use and now that Newegg is being used as a storefront it’s easily available. This drive gets a recommended award from me.